This change improves the access and security of the content but the output is almost the same: public data of posts, tags & authors. Read more about the Content API. 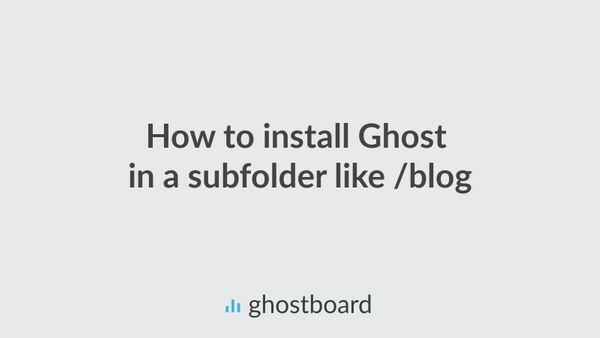 Ghostboard now support the Ghost Content API, so if your blog is the version 2.10 or newer you can integrate it with just a couple of clicks. 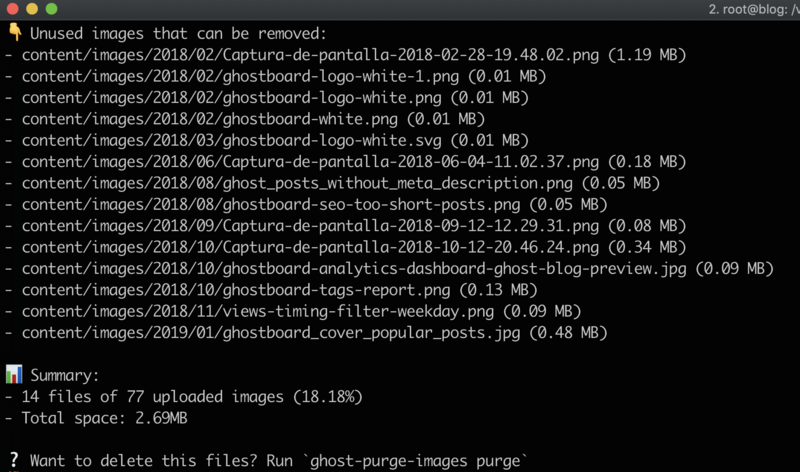 Our free open source, command-line interface (CLI) tool called ghost-purge-images available in Github has been updated too to support Ghost Content API. With this tool you can see and remove all the uploaded images that are not being used in any part of your Ghost blog. For example, after remove the uploaded image in a post or after delete a post in where was uploaded. Also it was improved and added support for images used in tags and authors.